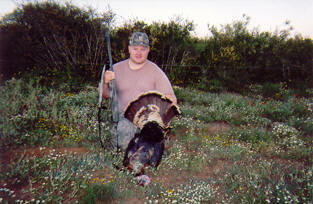 The Rio Grande Turkey is one of the most cautious and wary game animals of Texas. 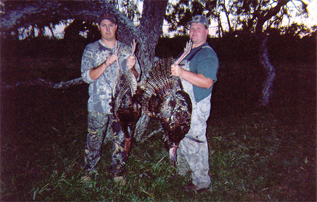 Turkey hunting in South Texas simply adds to this challenge with the dense brush and excellent cover. STGS has some excellent turkey habitat including over 1.5 miles of San Antonio River frontage. This provides amazing habitat and a safe roosting area for the birds. Year round feeding and the extensive watering system keeps the birds familiar with the area and limits their need to travel to locate food and water. The feeders also attract the hens during the spring season, and we all know what attracts the big gobblers in the Spring. Hens !!!!! !